Enjoy “Fine Wine & Smooth Jazz” on a summer Saturday afternoon in Lincoln Park Commons surrounding Fraze Pavilion. Strolling through the park listening to live jazz music and tasting wines from around the world. This popular annual festival is FREE and takes place on Saturday August 11, 2018 beginning at 3:00 PM. Well-known keyboardist Erik Augis has been performing in Central Ohio for over a decade and has quickly become one of the area’s premier jazz pianists. Erik performs a mix of jazz, pop and standards providing the perfect atmosphere. The music harkens back to the days when super groups hypnotized the world with bass driven ensembles and a full-bodied sound that reigned supreme. fo/mo/deep plays music like it’s meant to be…hot, incalculable and emotionally satisfying and fun…. 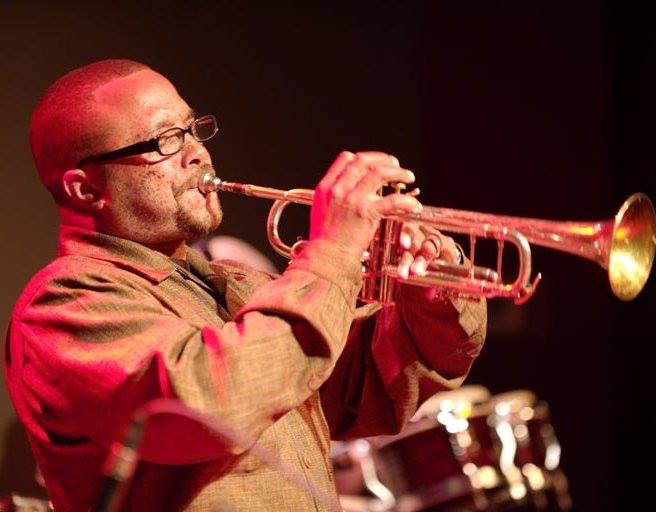 During his career Mike Wade has been named one of the top ten unsigned jazz, brass players as rated by Jazziz Magazine (1997). His composition, “Blues for Shorty Bop,” was chosen for inclusion on Jazziz on Disc collection. He has performed and/or recorded with such artists as David “Fathead” Newman, Clark Terry, Javon Jackson, Bobby Watson, Gary Bartz, Mulgrew Miller, Rene Marie, Don Braden, Steve Wilson, Othello Molineaux, Vincent Herring, Jon Hendricks & Annie Ross, Winard & Phillip Harper, Antoine Roney, Herb Jeffries, Craig Bailey, Billy Hart, Marc Cary, Bill Lee, Ricky Wellman, Bootsy Collins, Reggie Calloway, Teddy Pendergrass, The O’Jays, Maurice, Freddie, and Verdine White (Earth, Wind and Fire), Tom Tom 84, and Experience Unlimited (E.U.). He has performed on Black Entertainment Television (BET) Jazz Discovery show, and WOSU Jazz Voices television series. With either his quartet or quintet he has performed at the Cincinnati Entertainment Awards show (2000), Cincinnati Cammy Awards show (1997), the Columbus Jazz and Rib Fest, the Charleston Jazz Festival, and the Frog Island Festival. Mike’s quintet, Standard Time, was the 1997 winner of the Cincinnati Cammy award for Best Small Jazz Group. With the Mike Wade Reality Band he has opened (2003) for the smooth jazz group BWB (Rick Braun, Kirk Whalum, Norman Brown). With the Famous American Trumpet Section (F.A.T.S.) he performed at the International Trumpet Guild Conference in Denver, CO (2004). With the Mike Wade Sextet he has opened (2005) for the renowned San Francisco Jazz Collective.